After three decades of sizzling growth, China is now regarded by the World Bank as an upper-middle-income nation, and it’s on its way to being one of the world’s advanced economies. The investment-led growth model that underpinned this extraordinary progress has served China well. Yet some strains associated with that approach have become evident.In 2015, the country’s GDP growth dipped to a 25-year low, corporate debt soared, foreign reserves fell by $500 billion, and the stock market dropped by nearly 50 percent. A long tail of poorly performing companies pulls down the average, although top-performing Chinese companies often have returns comparable with those of top US companies in their industries. More than 80 percent of economic profit comes from financial services—a distorted economy. Speculation that China could be on track for a financial crisis has been on the rise. corporate restructuring, and further develop its capital markets. It needs to raise the skills of the labor force to fill its talent gap and to sustain labor mobility. The government will need to manage conflicts among many stakeholders, as well as shift governance and incentives that rewarded a single-minded focus on rising GDP, even as it modernizes its own processes. The nation faces an important choice: whether to continue with its old model and raise the risk of a hard landing for the economy, or to shift gears. A new McKinsey Global Institute report, China’s choice: Capturing the $5 trillion productivity opportunity, finds that a new approach centered on productivity could generate 36 trillion renminbi ($5.6 trillion) of additional GDP by 2030, compared with continuing the investment-led path. Household income could rise by 33 trillion renminbi ($5.1 trillion). India has a larger relative economic value at stake from advancing gender equality than any of the ten regions analyzed in a recent McKinsey Global Institute report, The power of parity: How advancing women’s equality can add $12 trillion to global growth. If all countries were to match the momentum toward gender parity of the fastest-improving countries in their region, $12 trillion a year could be added to global GDP. What’s more, India could add $700 billion of additional GDP in 2025, upping the country’s annual GDP growth by 1.4 percentage points (exhibit). Our new report, The power of parity: Advancing women’s equality in India, reveals that about 70 percent of this “best in region” potential would come from raising women’s participation in India’s labor force by ten percentage points between now and 2025, bringing 68 million more women into the labor force—70 percent of them in just nine states. This will require bridging both economic and social gender gaps. To determine this, we have created a measure of gender equality for Indian states: the India Female Empowerment Index, or Femdex. Our analysis shows that scores vary widely, and India’s challenge is that the five states with the lowest gender inequality account for just 4 percent of the female working-age population; the five states with the highest inequality account for 32 percent. Eight priority actions can help accelerate progress, including education and skill-building, job creation in key sectors, corporate policies to promote diversity, and programs to address deep-rooted mind-sets about the role of women in work. The events of 2015 have shown that China is passing through a challenging transition: the labor-force expansion and surging investment that propelled three decades of growth are now weakening. This is a natural stage in the country’s economic development. Yet it raises questions such as how drastically the expansion of GDP will slow down and whether the country can tap new sources of growth. New research1 by the McKinsey Global Institute (MGI) suggests that to realize consensus growth forecasts—5.5 to 6.5 percent a year—during the coming decade, China must generate two to three percentage points of annual GDP growth through innovation, broadly defined. If it does, innovation could contribute much of the $3 trillion to $5 trillion a year to GDP by 2025.2 China will have evolved from an “innovation sponge,” absorbing and adapting existing technology and knowledge from around the world, into a global innovation leader. Our analysis suggests that this transformation is possible, though far from inevitable. To date, when we have evaluated how well Chinese companies commercialize new ideas and use them to raise market share and profits and to compete around the world, the picture has been decidedly mixed. China has become a strong innovator in areas such as consumer electronics and construction equipment. Yet in others—creating new drugs or designing automobile engines, for example—the country still isn’t globally competitive. That’s true even though every year it spends more than $200 billion on research (second only to the United States), turns out close to 30,000 PhDs in science and engineering, and leads the world in patent applications (more than 820,000 in 2013). Video McKinsey director Kevin Sneader discusses global innovation trends at a recent World Economic Forum event. To develop a clearer view of this potential, we identified four innovation archetypes: customer focused, efficiency driven, engineering based, and science based. We then compared the actual global revenues of individual industries with what we would expect them to generate given China’s share of global GDP (12 percent in 2013). As the exhibit shows, Chinese companies that rely on customer-focused and efficiency-driven innovation—in industries such as household appliances, Internet software and services, solar panels, and construction machinery—perform relatively well. Exhibit Enlarge However, Chinese companies are not yet global leaders in any of the science-based industries (such as branded pharmaceuticals) that we analyzed. In engineering-based industries, the results are inconsistent: China excels in high-speed trains but gets less than its GDP-based share from auto manufacturing. In this article, we’ll describe the state of play and the outlook in these four categories, starting with the two outperformers. China will almost double the number of its general doctors by 2020, trim its public sector and improve technology as it seeks to fix a healthcare system plagued by snarling queues and poor rural services, its main administrative authority has said. China’s fast-growing healthcare market is a magnet for global drug makers, medical device firms and hospital operators, all looking to take a slice of a healthcare bill expected to hit $1 trillion by 2020, according to McKinsey & Co.
“Healthcare resources overall are insufficient, quality is too low, our structures are badly organized and service systems fragmented. Parts of the public hospital system have also become bloated,” China’s State Council said in a five-year roadmap announced late on Monday. The roadmap, which laid out targets for healthcare officials nationwide between 2015 and 2020, said Beijing wanted to have two general doctors per thousand people by 2020, close to double the number at the end of 2013, as well as increasing the number of nursing and support staff. China suffers from a scarcity of doctors – partly caused by low salaries – which has created bottlenecks at popular urban hospitals leading to rising tension between medical practitioners and often frustrated patients. The roadmap said China would also look to use technology such as mobile devices and online “cloud systems” to meet some of the issues, a potential boost to tech firms like Alibaba Group Holding Ltd and its healthcare subsidiary Alibaba Health Information Technology Ltd.
China should also have digital databases for electronic health records and patient information covering the entire population to some degree by 2020, it said. Providing access to affordable healthcare is a key platform for President Xi Jinping‘s government. However, recent probes have turned the spotlight on corruption in the sector, while patients often have large out-of-pocket expenses due to low levels of insurance coverage. The roadmap said China would push forward the development of grassroots healthcare, a fast-growing business segment, while reining in some large public hospitals in urban centers. The document also suggested further opening to the private sector, where Chinese and international firms have been taking a growing role in running hospitals. “The role of public health institutions is too big, with the number of beds accounting for around 90 percent of the total,” the State Council said. via China aims to double doctor numbers as cure for healthcare woes | Reuters. McKinsey director Gordon Orr goes behind the trends shaping the world’s second-largest economy to explain what companies must do to operate effectively. 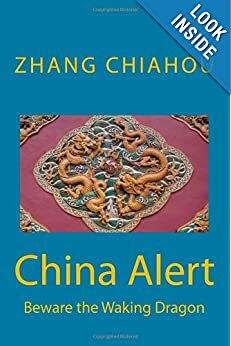 China, a $10 trillion economy growing at 7 percent annually, is a never-before-seen force reshaping our global economy. Over the past 30 years, the Chinese government has at times opened the door wide for foreign companies to participate in its domestic economic growth. At other times, it has kept the door firmly closed. While some global leaders, such as automotive original-equipment manufacturers, have turned China into their single largest source of profits, others, especially in the service sectors, have been challenged to capture a meaningful share of revenue or profits. This article summarizes some of the trends shaping the next phase of China’s economic growth, which industries might benefit the most, and what could potentially go wrong. 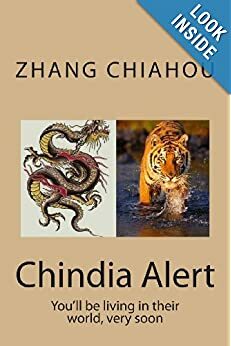 It also lays out what I believe it takes to build a successful, large-scale, and profitable business in China today as a foreign company. via A pocket guide to doing business in China | McKinsey & Company.